I decided to run the London Marathon in 2015 for APEC after I was dangerously ill from pre-eclampsia when pregnant with my daughter. My daughter and I are very fortunate to have come through pre-eclampsia but I was really shocked to see that over 1000 babies and 3 women die from Pre-Eclampsia each year and wanted to do something to help lower this statistic. Like many newly pregnant women, during my pregnancy I knew nothing about pre-eclampsia, everything was going very well and there were no obvious signs/symptoms of the condition. But out of the blue, two days after seeing the doctor, I was rushed into hospital and told that the baby and I would not survive unless I had an emergency caesarean. It was a very scary and disorientating moment; only later it was explained to me that I had pre-eclampsia; many of the medical staff were puzzled at how quickly I had deteriorated as I had been so well throughout the pregnancy. Although my daughter was born early, we recovered well and Asiya has grown up to be a beautiful young lady, as you can see in my picture. 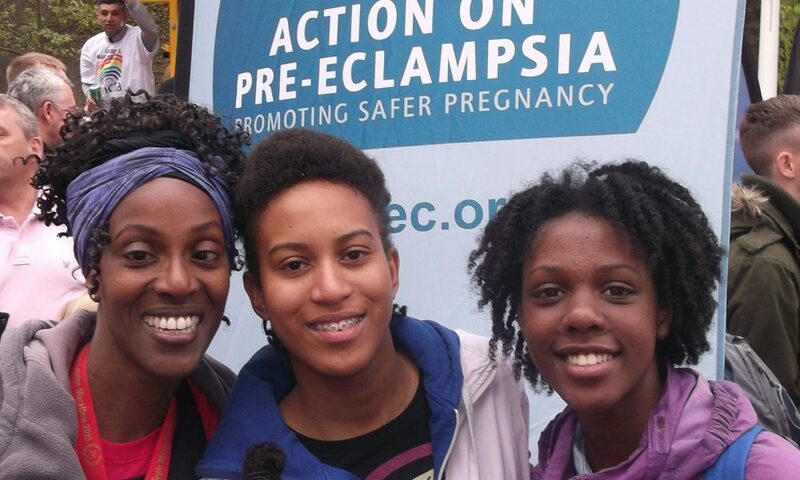 I was delighted to raise over £2000 by running the London Marathon for Action on Pre-Eclampsia, as I wish to support their work in educating to improve care and supporting people who have suffered from this devastating disease. I believe that with our help they can continue to help save lives. The above story is shared by Samantha Campbell, mother and pre-eclampsia sufferer. As an APEC supporter, Samantha raised over £2000 running the London Marathon for APEC for which we are – and always will be – extremely grateful.